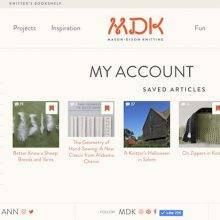 We are delighted to welcome Cyndi Lee to MDK as a contributor. Founder of a yoga center in New York, and a lay Buddhist chaplain, Cyndi now teaches yoga and meditation, and is the author of several books about yoga. A recent transplant to New Mexico, Cyndi recently taught in Taos. We were eager to virtually tag along on her weekend, with our knitting in tow. Join us! 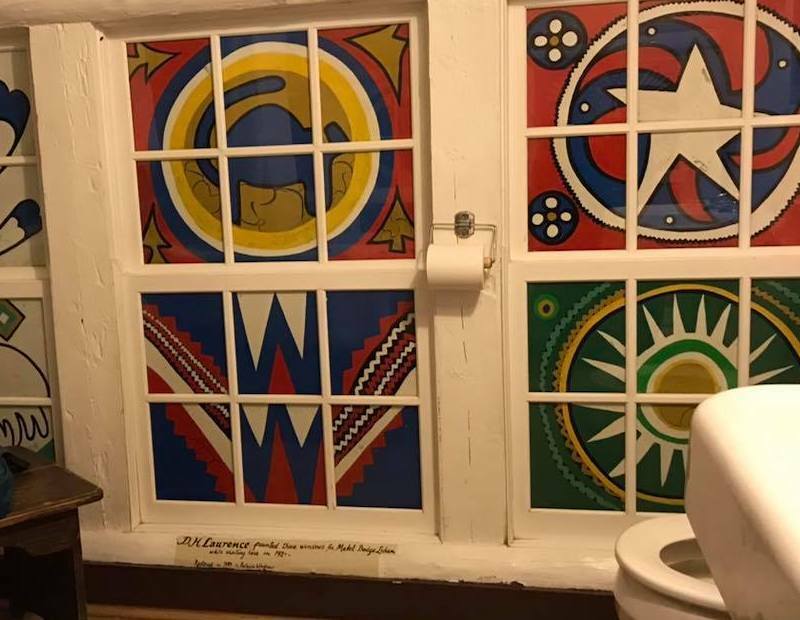 The second floor bathroom’s windows were hand-painted by D.H. Lawrence, who found the bare windows too revealing when standing up in the tub. Who knew he was so modest? In the morning, we walked past Georgia O’Keefe’s Pink House, and into Taos Plaza, the center of this town of nearly 6000. At 124 Bent Street, near Taos Plaza, is possibly my favorite store in the world, Common Thread Textiles. The colors and textures found here are exquisite: khadi, indigo, sari fabric, and African mud cloth. 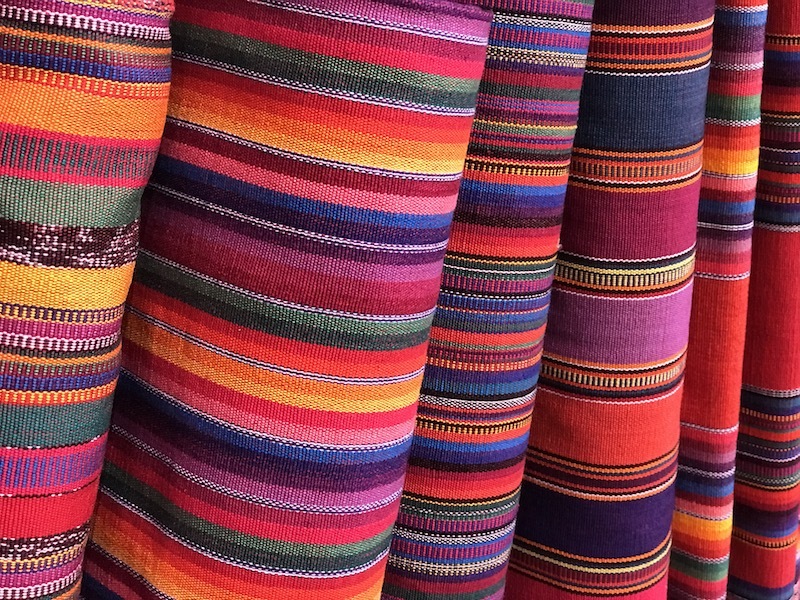 The store owner designs richly colored, artisanal fabrics woven in Central America. Nearby, just off Taos Plaza, is Mooncat Fiber. 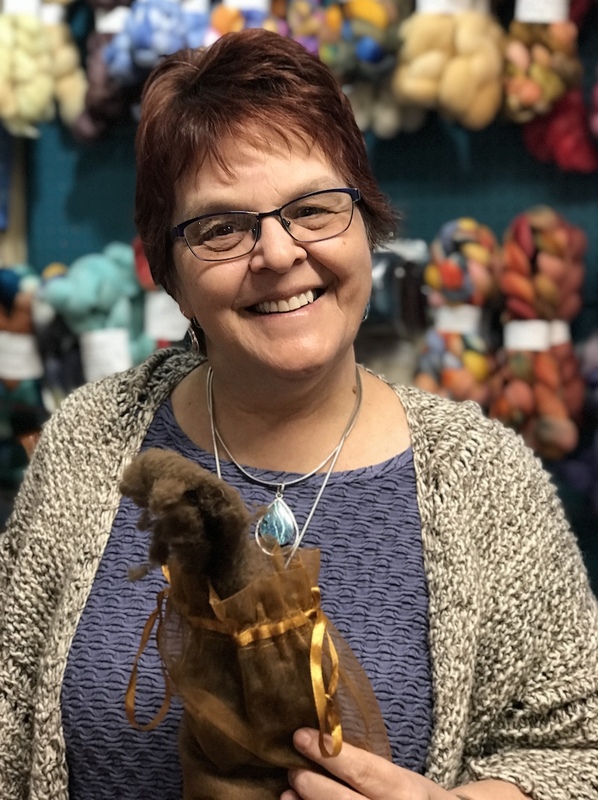 The owner, Cathy Book, who made the store’s sign, mainly stocks local hand-dyed and handspun yarns. 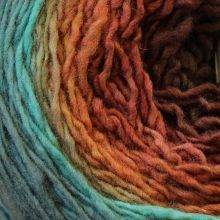 Some of the local handspun comes with a label listing the names of the animals who contributed to each skein. Cathy also specializes in super soft bison and buffalo yarns, harvested from the fur of the animal’s underbelly. 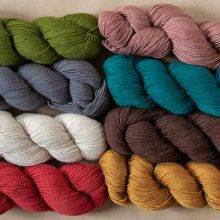 This yarn is so warm that Cathy told me she wears her own handmade bison sweater when she goes fly fishing. 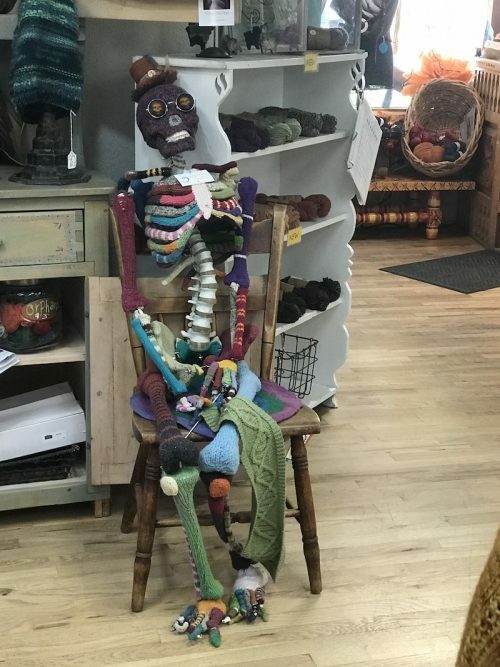 We also popped into Vortex Yarns to browse the lovely yarns and visit their resident knitted skeleton. 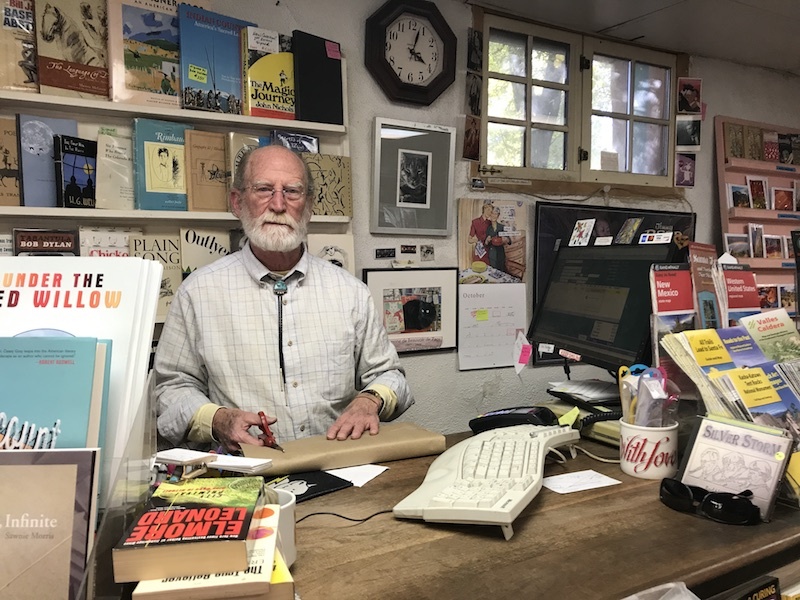 Brodsky Bookshop has been a beloved fixture in Taos for 40 years. Although ownership of the shop has changed, the employee of the month maintains consistency. The current owner is Rick, who will help you can find LPs, comic books, art, travel and fashion books, and everything written by local authors. I picked up Death Comes for the Archbishop by Willa Cather, which is set in New Mexico. It’s hard to get out of Brodsky Bookshop in under an hour. But we were flagging, due in part to the high altitude that requires constant hydration. Once you’ve gotten jazzed up on delicious coffee, you can go next door to Gearing Up and rent a bike. If you don’t mind some bumps, riding on the side roads will let you get even more intimate with the every day textures of Taos. Picturesque fields with trucks abound. 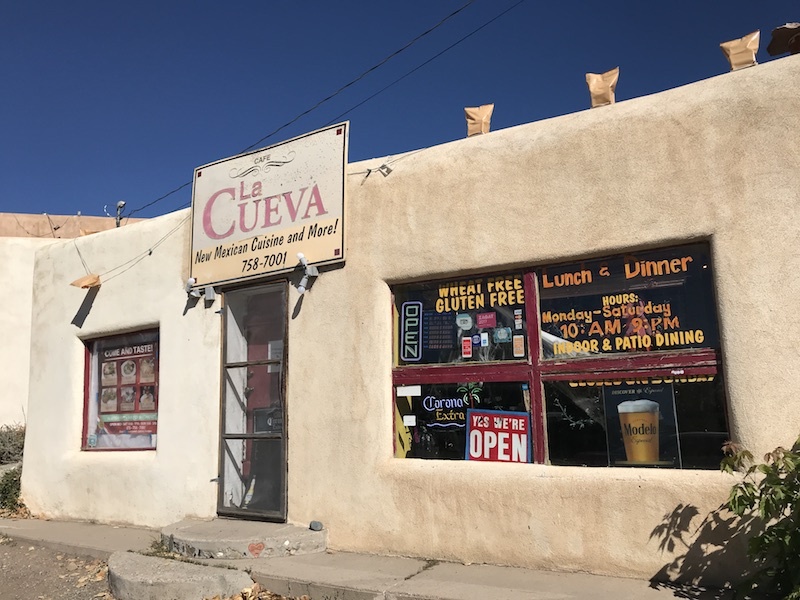 We had a delicious (and large) lunch at the famous New Mexican restaurant, La Cueva. 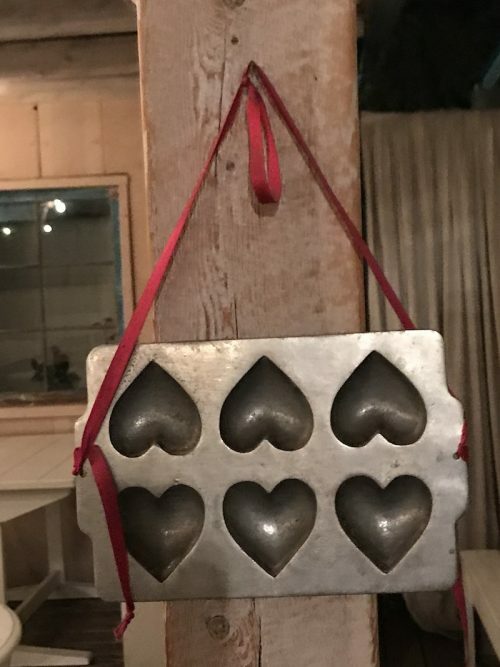 For dinner, we headed off to The Love Apple. 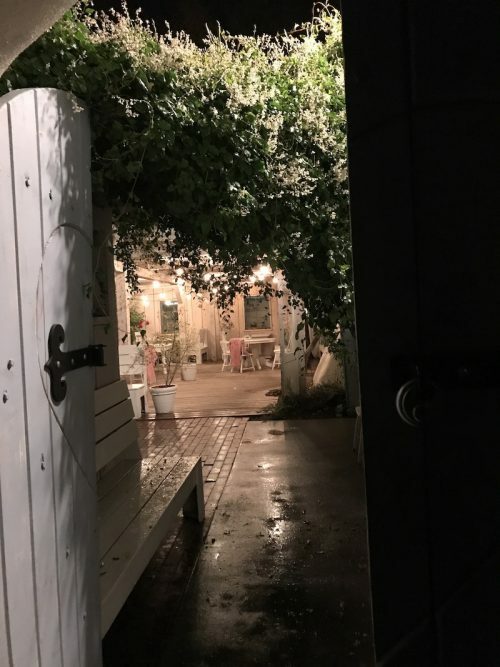 It’s a romantic farm-to-table restaurant. Ruby red trout, shishito peppers, sauteed turnips, superior guacamole or a mole tamale, plus a crisp white wine—a perfect New Mexico dinner. That’s my merry band of yoga teachers in the mirror. 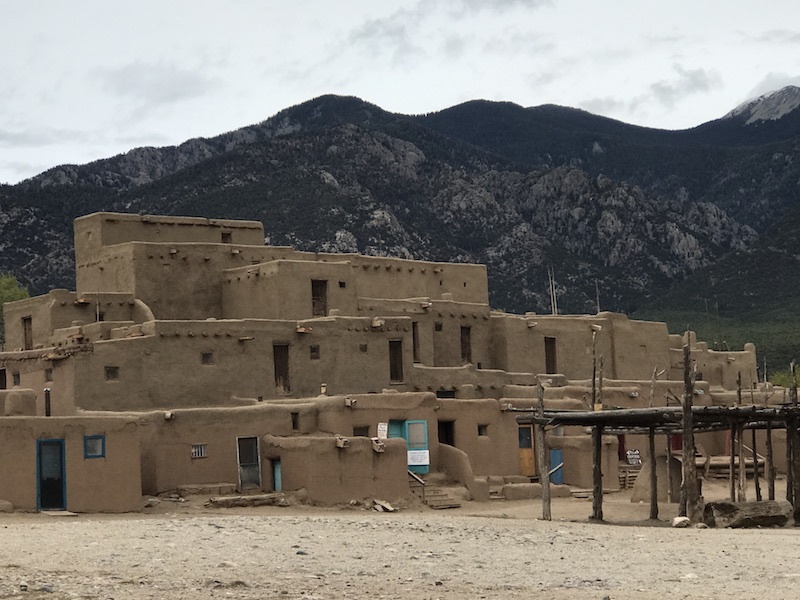 Near Taos is a site of living history, Taos Pueblo, where the Taos Indians have lived for generations. Be sure to check out this link for an introduction to this historic village. 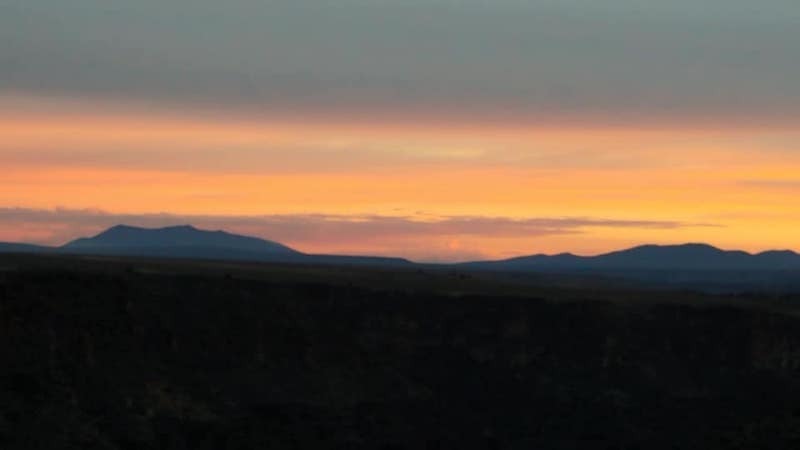 For extraordinary images and videos, see the Taos Pueblo blog. I highly recommend a tour with a Taos Pueblo guide. 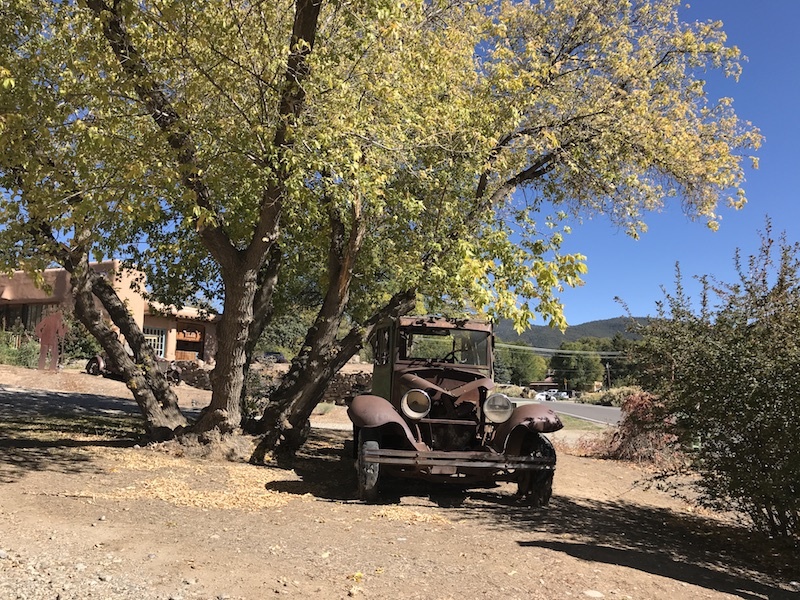 It’s good to plan your departure from Taos so that you don’t have to drive in the dark on the narrow, winding canyon roads. 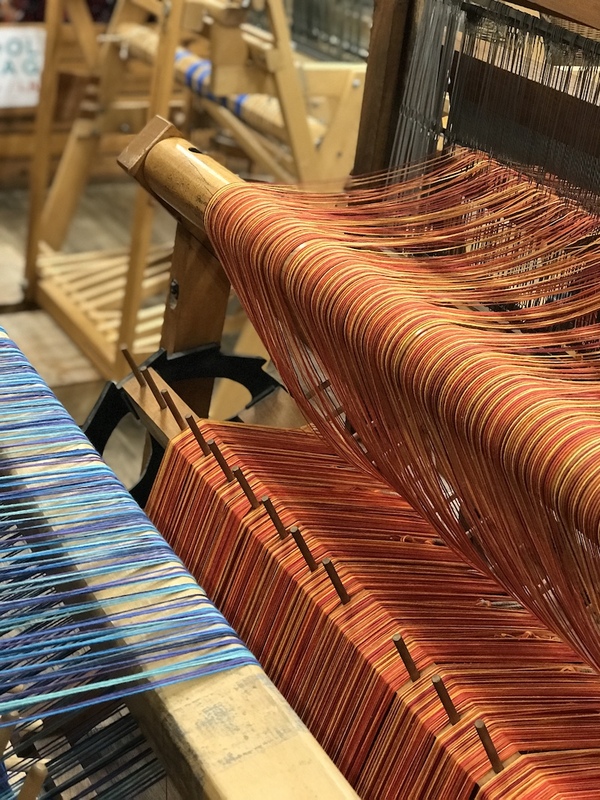 One of the best offerings from EVFAC is their “Walk In and Weave” program, which allows a curious crafter to pop in for a few hours and learn to weave on any kind of loom, from cricket table looms to large floor looms. 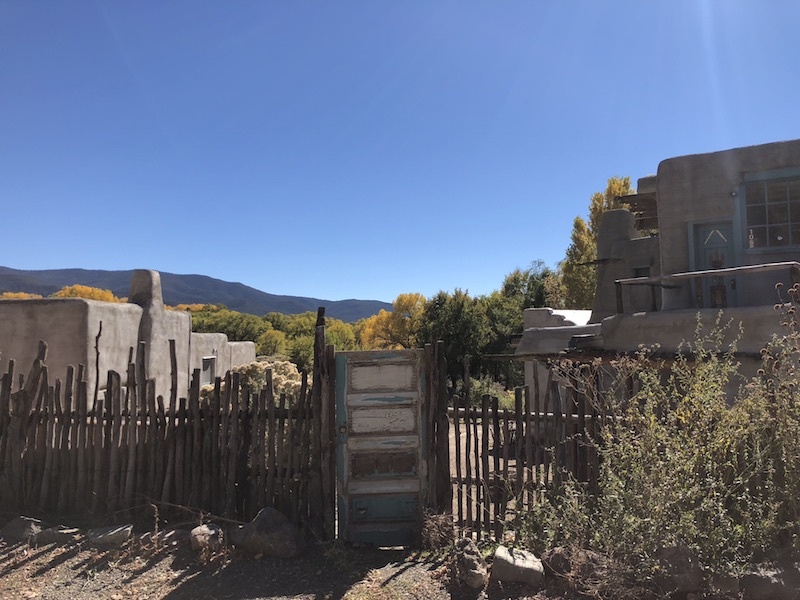 There is so much more to do see, learn, and visit in Taos. I’m ready for another experience of the rugged beauty of this place. Each piece in our series A Knitter’s Weekend is written by a knitter with local knowledge and a personal point of view. If you have additional places or information you’d like to share, we’d love to hear it—please leave a comment. 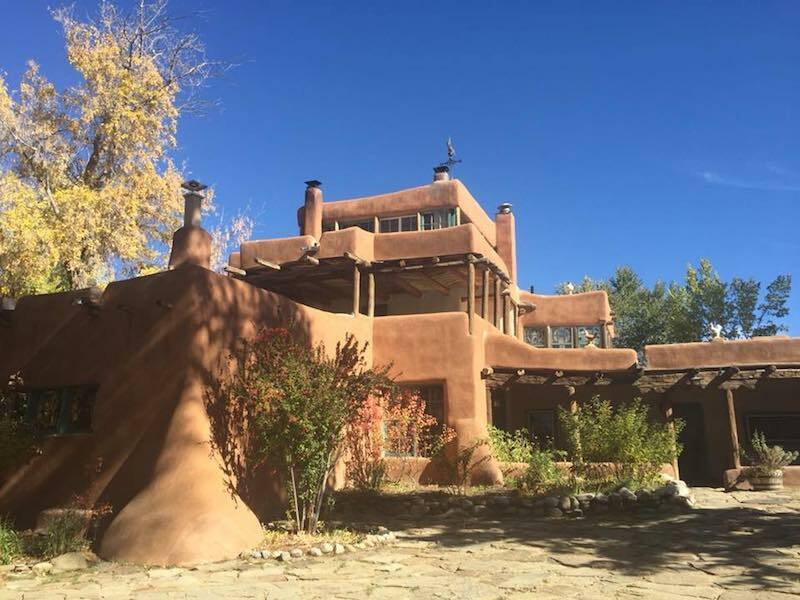 And if you have plans to visit Taos, be sure to save this article in your MDK account. Cyndi Lee is the first female Western yoga teacher to fully integrate yoga asana and Tibetan Buddhism in her practice and teaching. 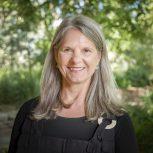 Founder of New York’s OM Yoga Center (1998-2012), which drew practitioners and teachers from around the world, and a lay Buddhist chaplain, Cyndi now teaches yoga and meditation internationally. Cyndi learned to sew, embroider, crochet and knit from her mom, yet still mostly knits rectangles and sews prayer flags. Cyndi has taught yoga and knitting retreats, and is a regular contributor to Real Simple, Yoga Journal and Lion’s Roar. She is the author of five books including May I Be Happy: A Memoir of Love, Yoga, and Changing My Mind, OM Yoga: A Guide to Daily Practice, and Yoga Body, Buddha Mind. The Taos Wool Festival is the first weekend in October and now that I am retired, we got to go last fall. There was fiber and yarn, demonstrations and contests (among them were blindfolded knitting and spinning! ), and food and music, in beautiful Kit Carson Park. We already have reservations to go earlier in the week next year so I can take a class or two. Love Taos!! I hope the blindfolded knitting works out a little better than when I fall asleep while knitting a row or two. I know it happens to others—Ann mentioned it in a recent post. Many thanks for a great article! As a yogini, I’ve followed Cyndi for years. Taos is on my bucket list. Nice to learn about the fiber stores and local sites. (The skeleton at Vortex must be still working to get through her stash.) Are there yoga studios or annual fiber getaways that include knitting and yoga? 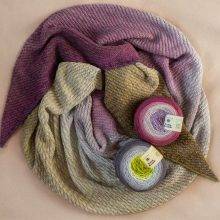 Combining knitting and yoga is the ultimate zen experience! Hello Barbara! 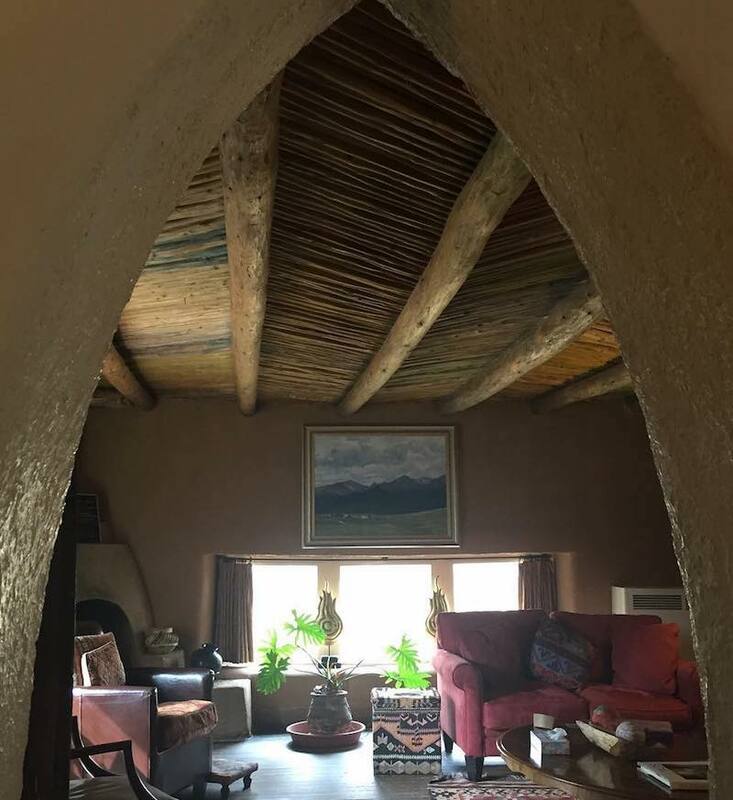 The retreat that I led last year and which will happen again this coming October in Taos is a yoga retreat but most all of us are also knitters so we knit around the kiva fireplace every night with wine. Soooo good. Taos is one of my favorite places in the US. I taught myself to knit after visiting the late, lamented La Lana Wools in the early 90’s and wishing I knew how to use this wonderful palette. I finally got to go back about 10 years ago, just before the shop closed. 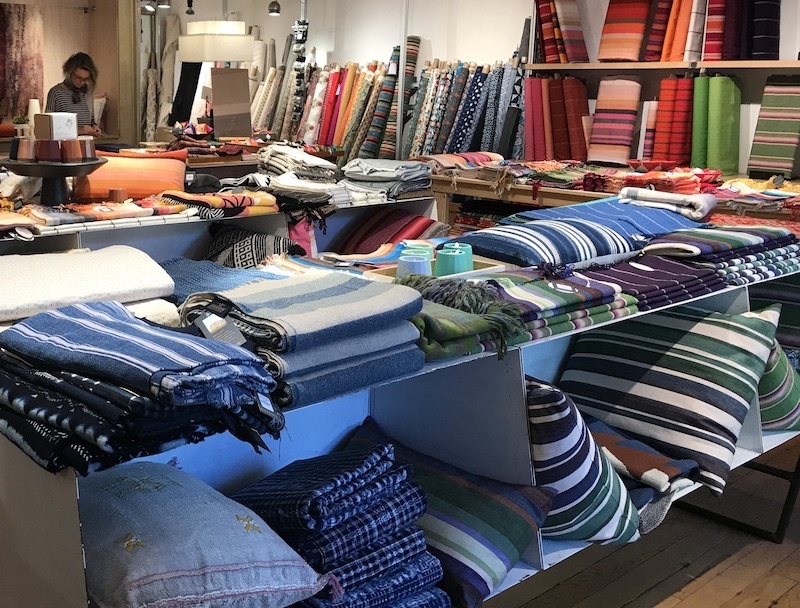 SO happy to see that the wonderful textile tradition continues to flourish there. I live in Espanola, but like most folks, we never really see our own state. My path has run pretty much between here and Chama ( not on the same path that leads to Taos). I get inspiration from the red rocks around Ghost Ranch and the beautiful mountains between Chama and Antonito, CO. But this article has made me add Taos to my future wanderings. Thank you! One of my favorite destinations. Thanks for the return visit! Wonderful post! I’ve never been to the Southwest and now feel Taos needs to be on my bucket list. Thank you, hope you write more for MDK! special vespers mass the night before at the Pueblo. where you can soak you ur cares away in several different types of spring water, get a massage or have a gourmet, organic meal. A no miss trip! Sitting in snowy Canada at the moment, I really enjoyed this interlude. Great article! Would love to visit…. I love this post! I’ve been fascinated by New Mexico for years now, but have never managed a visit, though the Taos Wool Festival is at the top of my list. The bookstore sounds wonderful, too. 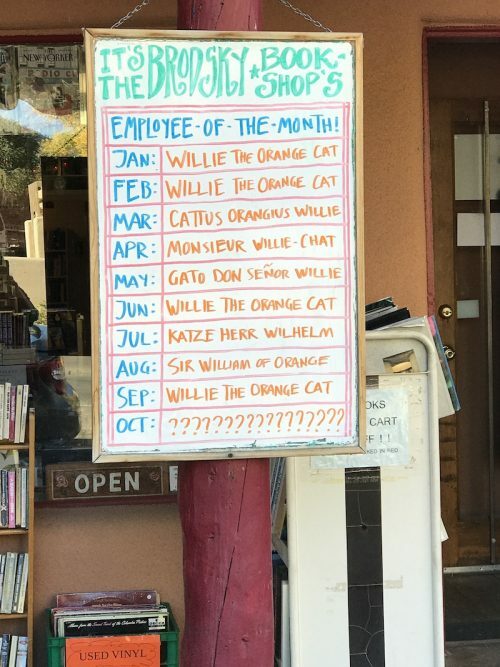 Two tiny points, both bookstore-specific: 1) I would also have liked to see a photo of Willie the cat. 2) The Cather book is Death Comes FOR the Archbishop, not to the Archbishop. Thanks for the correction. As a daughter of Nebraska (Willa Cather’s home state for part of her life), I’m ashamed. Hi Laura, Thanks for the correction. Unfortunately, Willie was not posing for pictures on the day I was visiting the bookstore. I enjoy Taos. I like it much better in the summer and found it quite stark in the winter and many shops were closed. Late winter to early spring is great! Low hotel rates, almost no tourists, gallery owners making you a deal – highly recommended. Great to hear there are two new fiber shops. I shopped at La Lana’s just before it closed as well (someone else mentioned this). It had seemed such a permanent part of the town that I was shocked to hear it had closed. 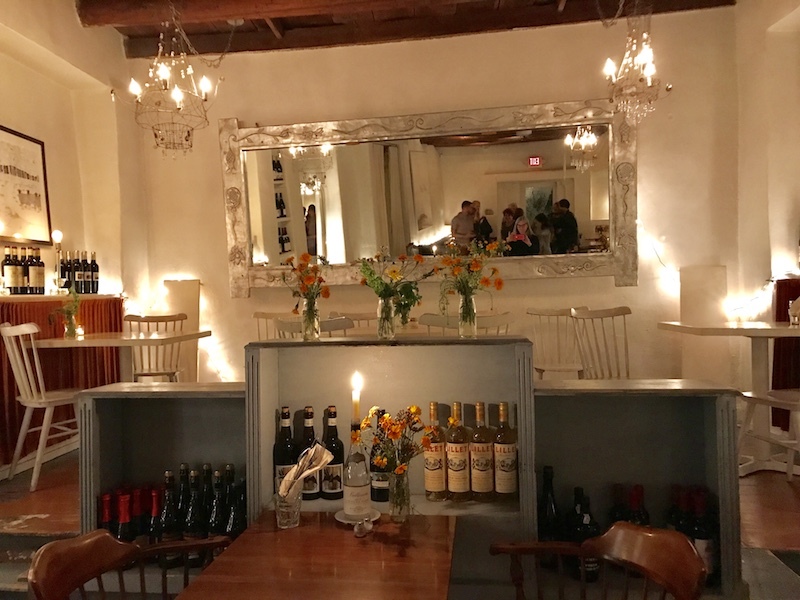 What a wonderful article about one of my favorite places! And I can’t read an article about fiber in Taos without remembering Luisa Gelenter of LaLana Wools. 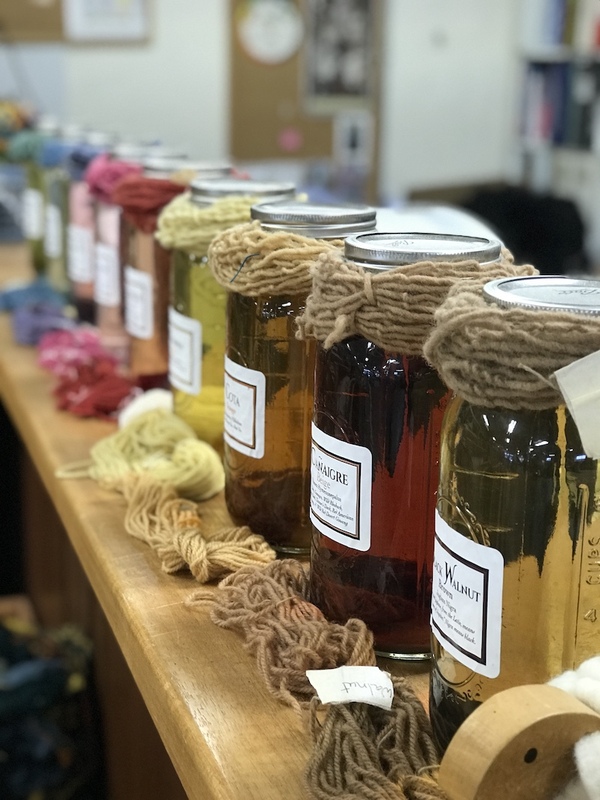 Her store was a long-time fixture in town, and she in many ways pioneered the current small-batch dyers and spinners we take for granted now. We all owe her a debt of gratitude. Same here, Charlotte. Remembering Luisa. 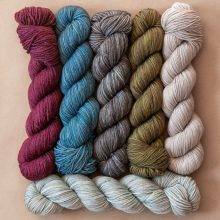 I think of her whenever I see plant-dyed yarns. Add me to the list of people who love and miss La Lana and Luisa–she was a true visionary and I do believe the knitting community will always owe her a debt of gratitude. I live on the east coast but would stock up on her yarn during every trip to Taos–we go about every other year. I still have a little bit left in my stash. I can’t bear the thought of using it up. There is nothing else like it. Wonderful visit ! Having pangs of wanting to be there NOW! I love Taos. Cyndi hit so many of my favorite stops. 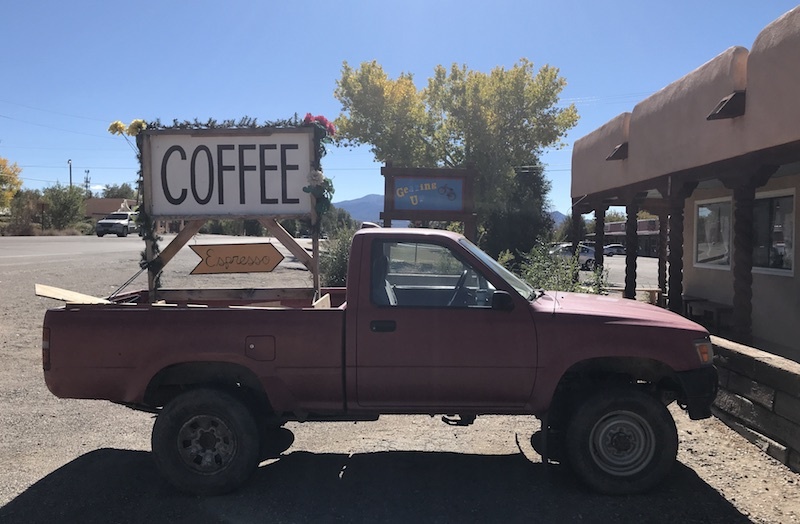 I’d add a side trip around the mountain ( not too far) to Victory Ranch in Mora NM, a beautiful large alpaca ranch that welcomes visitors and has a shop selling their delicious yarn and alpaca-y wares. Thank you! I will definitely make a visit to Victory Ranch in the next few months! 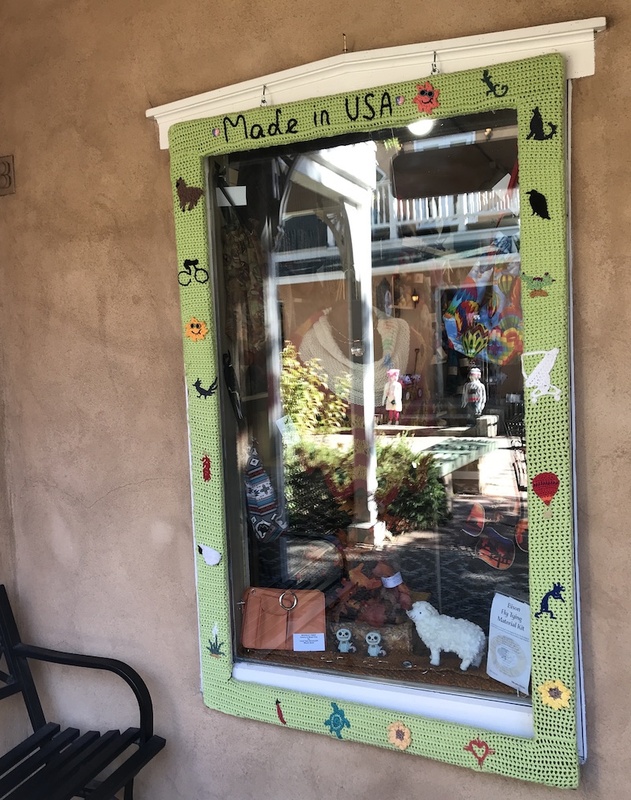 Love these Knitter’s Weekend essays and particularly enjoyed this one, probably because of all the gorgeous Southwest colors in the photos. But then I’m the type of person who bets on a football team because of its team colors:). Wonderful post! This gives me a few ideas when we visit in June. 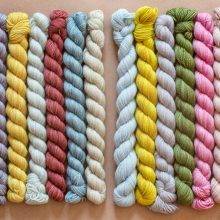 The photo of the natural dyed yarn samples is fabulous. Where was that taken? The Taos Wool Festival sounds great too. I will have to add it to my bucket list and hope I can attend some yoga classs too. Thank youfo sharing!